We have already set aside a decent amount for this production through past concerts and CD sales. However, these savings are not enough to cover all costs. Since March 28th until May 5th 2019 our crowdfunding campaign is running on startnext. There we’d like to make this album real with your support. It’s in your hands if this dream comes true an if the album will be released on vinyl, too. Because there are two funding goals. When we reach the first one, vinyl becomes possible and can be ordered in the campaign, too. 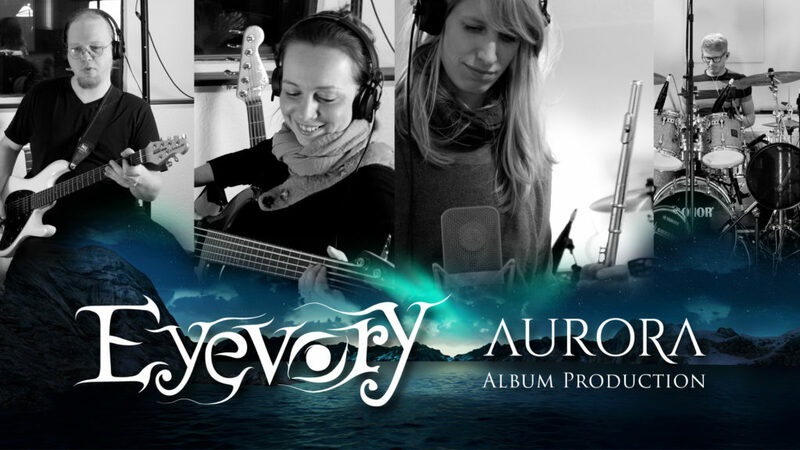 Therefore we are happy about any support for the realization of our third studio album “Aurora”. This evening will not a regular concert-evening. 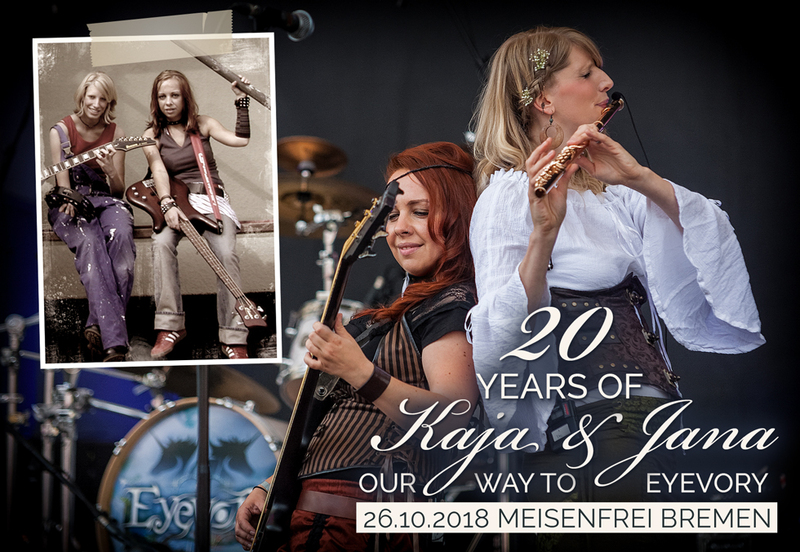 The motto of this concert will be: “20 Years of Kaja & Jana – Our Way To Eyevory”. For two decades the ladies share the stage – a good reason to celebrate! 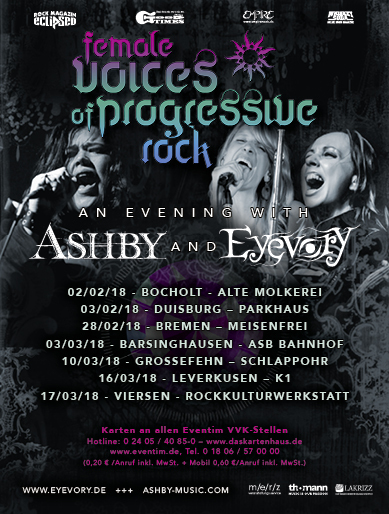 Besides the familiar Eyevory tunes we’ll go back in time and play songs from all eras: Like the previous projects such as “pinK mercury” and “Straight On”. 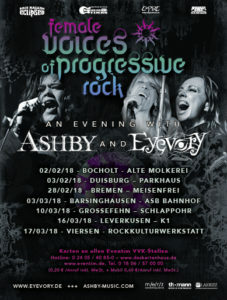 The new Eyevory-lineup will be performing together with a big cast of ex-members and other special guests. We’ll show some photos and videos from ancient times to retrace the origins of our band. Today is a special day in the Eyevory-Camp. 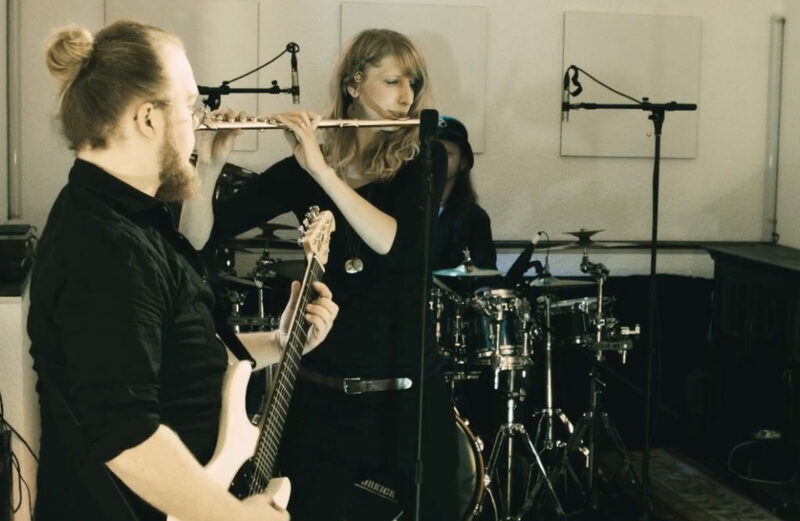 It’s the day we’re about to proudly present you the official music video to our song “Inphantasia” on eclipsed.de! The material was shot last year but it rested for several months on a hard drive because the storyline wasn’t ready yet. But now it is ready, shot and edited with lots of attention to detail and we’re very proud of the video. We’d like to thank Liv Marete for running around in front of the camera including flies, gnats and other insects. But it was worth it, we promise!